This juice is the perfect early morning pick me up; the ginger makes a brilliant caffeine alternative! 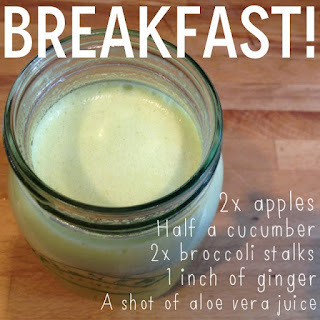 You simply juice the fruit & vegetables (the measurements above are to my taste - there's nothing stopping you adding more ginger/less broccoli!) and then stir in the aloe vera.